Pathways to Education has paid off. One-third of the school’s incoming crop of 225 students are from the designated Pathways postal code districts and enrolled in the after-school tutoring program. The Spryfield high school exemplifies a school in what might be termed “permanent improvement mode.” Every day, senior staff and administrators demonstrate that it’s possible to positively change students’ lives and their life trajectories. Students’ results at St. Stephen’s Elementary School in north-end Halifax are much improved, too, but it likely has also to do with demographic shifts associated with the “gentrification” of that school zone. Bright spots can be identified here and there across the Halifax school system. But an analysis of student achievement trends, school by school, over the past decade shows that initiatives to close the gap, from “Good Schools to Great Schools” (2009-13) to “Priority Schools” (2014-18), have barely made a dent in the problem of educational inequalities. Those initiatives were driven by putting “learning supports” in place in the classroom. The unstated assumption was that the priority was rectifying deficits rather than raising standards across the board. Grade inflation, eliminating provincial exams and rising high school graduation rates were taking care of concerns about lagging achievement in mathematics at higher grade levels. “Getting on top of operational issues was taking priority over tackling longer-term issues related to charting the way forward,” Fraser says. Community service agencies see, first-hand, what’s going on in and around the schools, particularly in disadvantaged neighbourhoods. Alison O’Handley, executive director of Dartmouth Learning Network, Darren Hirtle, HRM community developer in North Dartmouth and Betty Watson-Borg, project lead at Between the Bridges, all express similar concerns. Problems can go unattended because of the impregnable silos separating schools from community-based services. Promising tutoring programs end up having to be shoehorned into regular school hours. Investing so heavily in staff training and resources is problematic in schools with too much staff turnover. Transient school populations make teaching a challenge and aggravate the turnover problem prevalent among teachers in struggling schools. Challenging students starts at the top and requires a collective effort. Striving for excellence “raises the boats in the water for all” in the school system. It requires a laser-like focus on improving school climate, setting higher curriculum expectations, providing the foundational skills, ensuring teacher effectiveness and better preparing students for post-graduate programs. The HRSB “Good Schools to Great Schools” initiative from 2008-09 to 2012-13, and the provincewide International Baccalaureate diploma program are two prime examples. Achieving educational equity is the priority and that means recognizing and successfully addressing “learning deficits” and systemic inequities. School leadership is charged with developing “a model of support” to work with identified schools in order to improve achievement by closing the gaps in literacy and mathematics. School support teams are assembled to tackle the deficits using specialized support personnel such as literacy coaches and math mentors. This conventional strategy is best exemplified in the HRSB “Priority Schools” initiative, which now focuses on training educators to be more “culturally responsive” in their teaching practice. More radical, community-based strategies are in order when conventional “learning support” strategies fall short. Struggling schools are identified, and most discovered to be situated in “postal code districts” with impoverished families and children. Turning around such schools requires a total school reclamation effort engaging not only the principal and teachers, but parents, community groups and social service agencies also. The best-known example of this model is Geoffrey Canada’s Harlem Children’s Zone, an urban, school-centred, community renewal project which included self-governing “Success Academies.” The highly acclaimed Pathways to Education program, first initiated in Toronto’s Regent Park, provides community-based, after-school programming where it is needed most – in school attendance zones with the highest high school dropout rates. Simply accepting the “Postal Code Education” as a given will never be good enough for Halifax schools. An analysis of a decade of data, focusing on two specific years but checked against data from intervening years, suggests three strategies to deal with gaps in educational opportunities and outcomes. 1: Full disclosure of student performance data, school by school. The public has a right to know how its public schools are actually performing and, as former superintendent Carole Olsen once said: “Knowing how each school is doing is the first important step in making sure resources and support reach the schools — and the students — that need them the most.” Recognize that informed parents can be allies in school improvement. Phase out current student evaluation policies that undermine academic standards and inadvertently weaken student work ethic, perseverance and determination to succeed. Identify struggling elementary schools in dire need of improvement and declare their attendance zones to be priority neighbourhoods for educational renewal. Expand the existing Learning Supports model to make it part of a broader, community-wide project. Engage active parents and local community groups, and mobilize local enterprise and community services to address the educational inequities. In short, turn priority schools into priority neighbourhoods. Pathways to Education Spryfield has, by all accounts, succeeded in dramatically raising graduation rates in one of Halifax’s most disadvantaged communities. 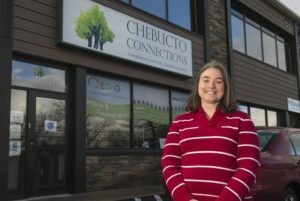 Instead of waiting for the Toronto-based organization to approve another site, initiate plans to develop community-based programs in Dartmouth North, Halifax’s north end, North Preston and Woodside. Set a target of raising student grades and reducing the dropout rate in those communities. Develop a much broader, more comprehensive plan to advance educational excellence and equity, together, rather than focusing almost exclusively on raising the achievement levels of those consistently performing below provincial standards. Improving schools involves raising the bar as well as ministering to the needs of those falling between the cracks. Halifax superintendent Elwin LeRoux is an optimist, by nature, and sounds undaunted by the everyday challenges facing the system. Surveying the legacy of the “Good Schools to Great Schools” initiative, he remains determined to stay the course and press on with a more “differentiated approach” tailored to the unique needs of schools across the spectrum. By Paul Bennett| 2018-11-28T18:58:28+00:00	November 24th, 2018|Op-ed|Comments Off on Raise the bar and close the gap: What more can be done for Halifax schools?